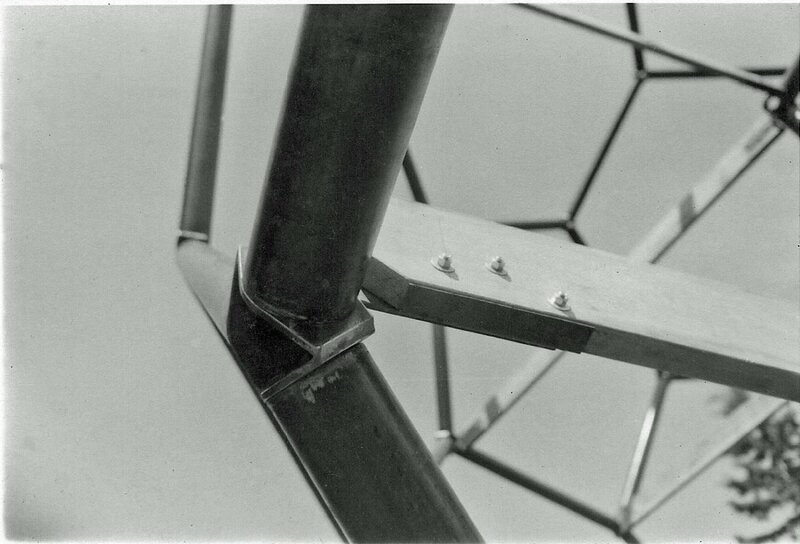 Conceived in 1975 , this geodesic sphere frame is an assembly of tubes and joints held together with threaded fasteners. 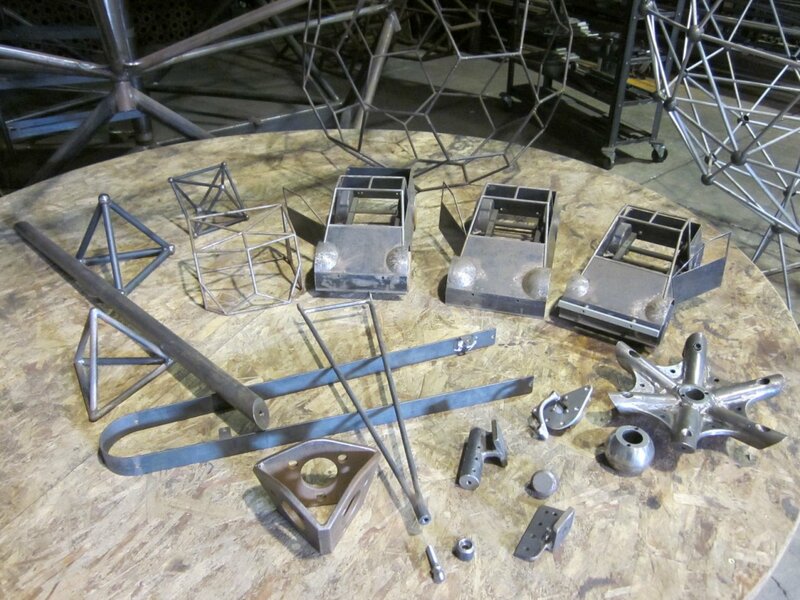 I have also considered a welded structure/unit if only because it was an option. 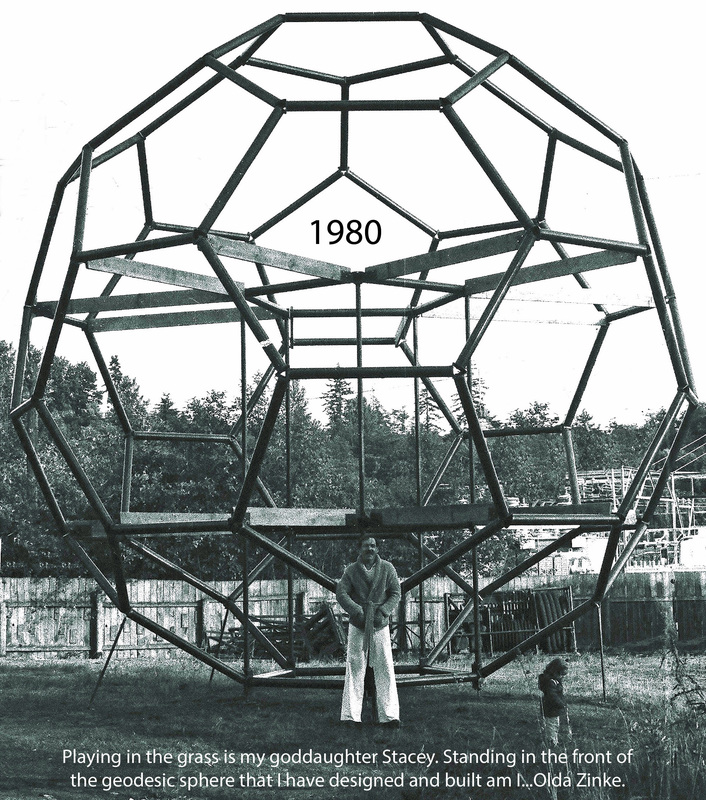 From many possible configurations of the geodesic sphere I have settled on a form which later became to be known as a “Bucky ball”. 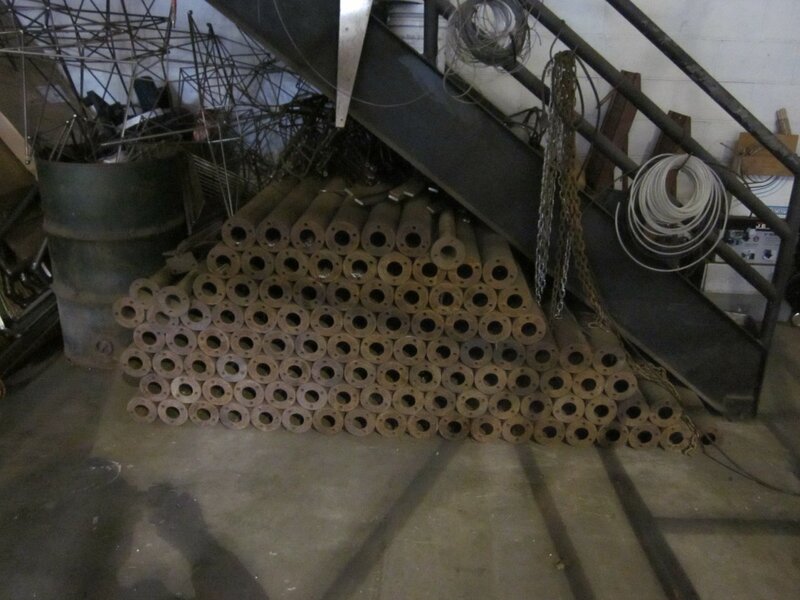 An assembly of 90 equal length tubes and 60 identical joints. 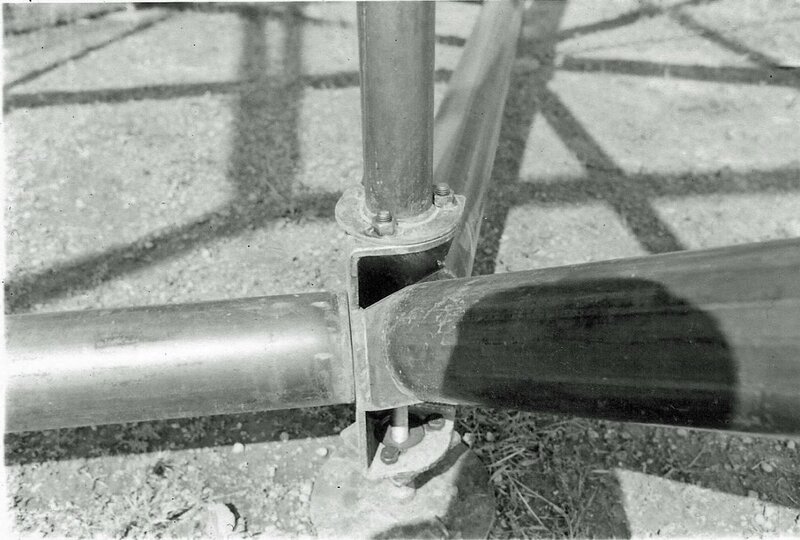 The tubes are of 4 1/2” diameter (4” sch 10 pipe) with flanges (USS washers for 2” screw) welded to both ends that have 3 holes drilled and 1/2-13 hex nuts welded on the inside. 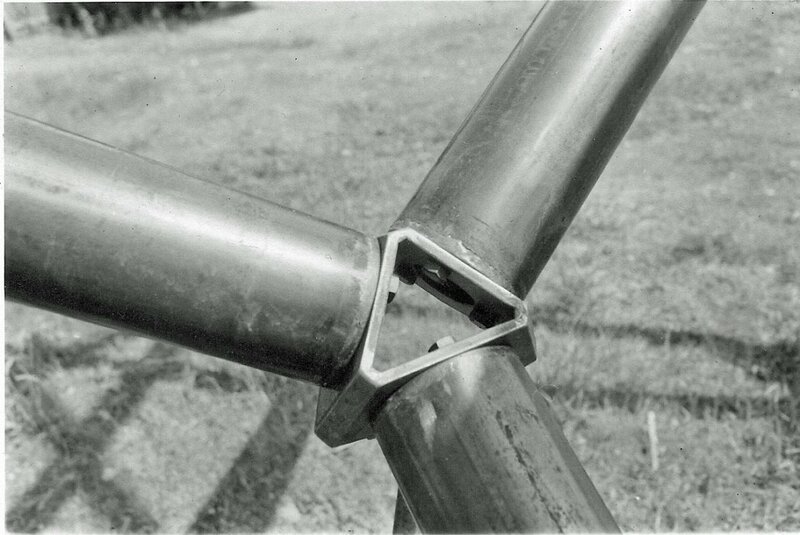 The joints are a truncated asymmetrical 3 sided pyramids welded from flame cut 3/8” thick steel plates that have a large hole in the middle and 3 holes drilled to match the tube flanges hole pattern. 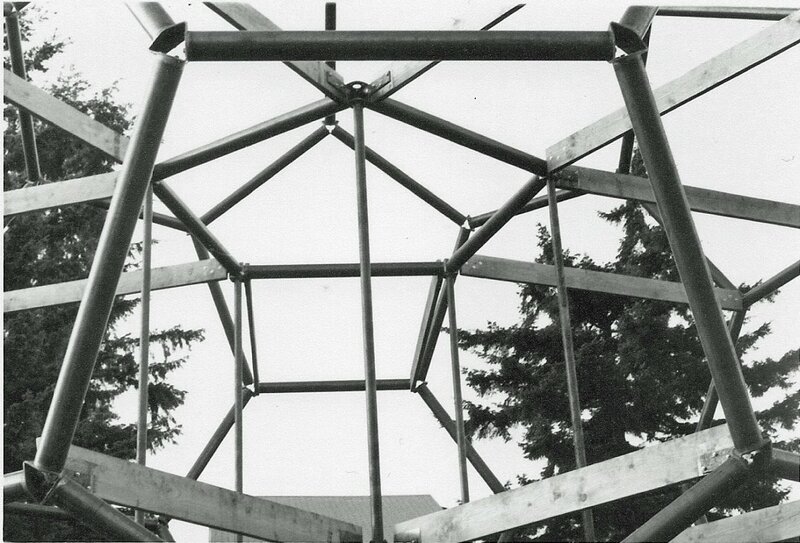 The bottom 5 joints are modified to also serve as base mounts and carriers of vertical tubes that are supporting the floors structure and 10 joints each at the first and the second floor levels are modified to allow for attachment of the floor joists. 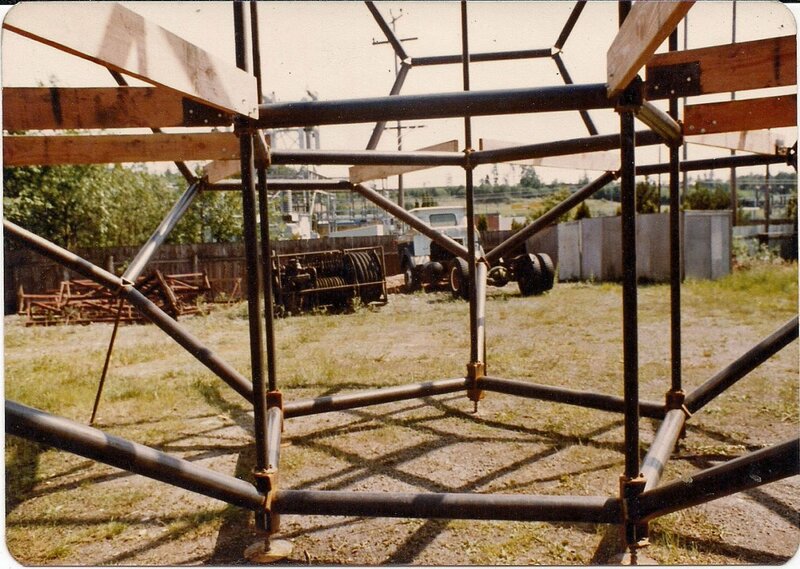 Additionally there are 10 vertical tubes supporting and 10 joints holding together the rudimentary floor structure. 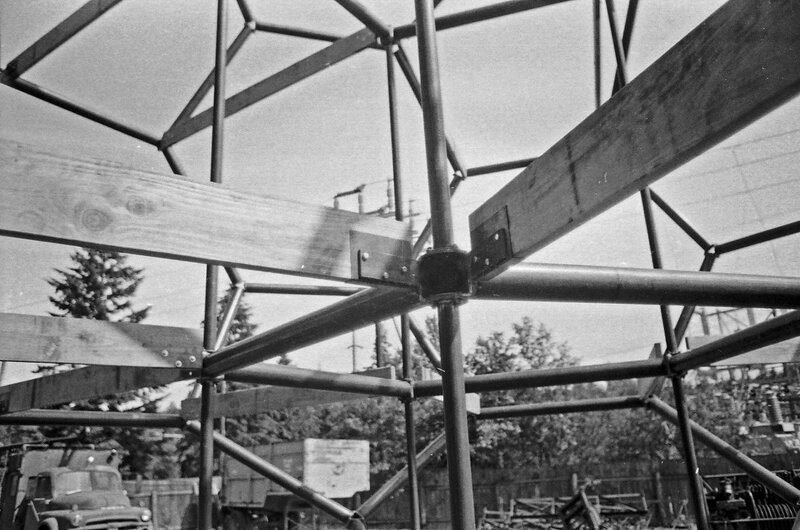 The floor joists are 2 by 8 fir. 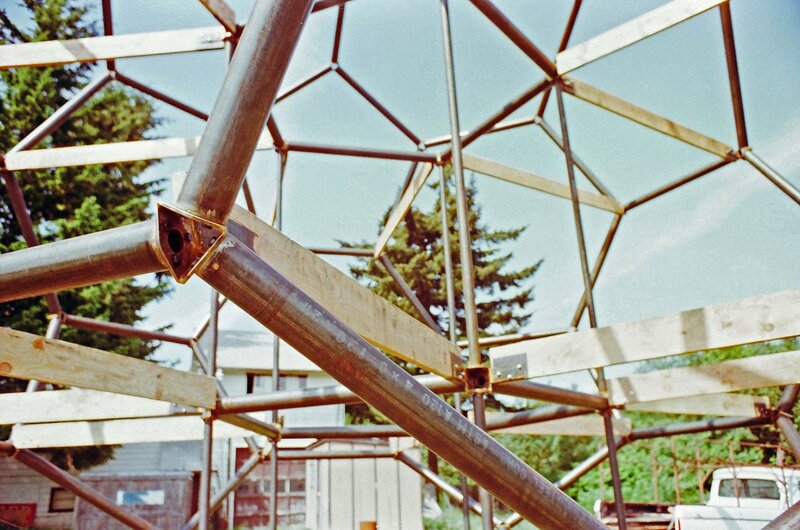 The sphere frame is held together with 540 each 1/2-13 gr5 hex head screws while the floor joists are attached with 120 each 3/8-16 hex head bolts and nuts. 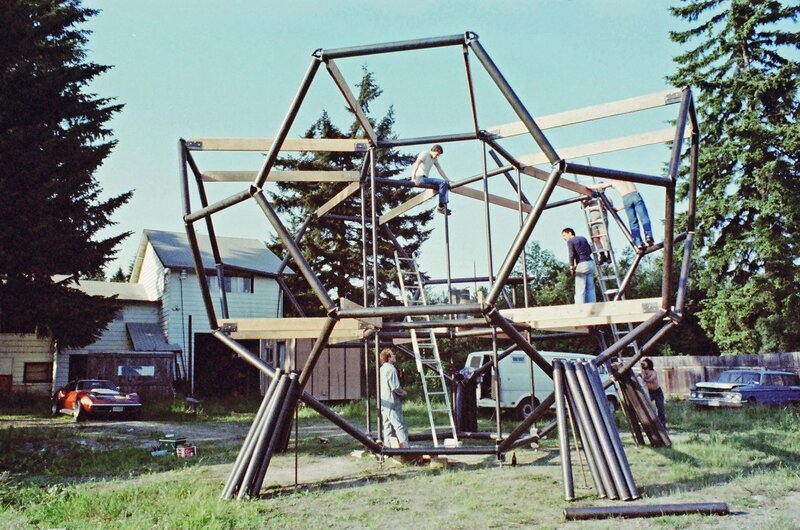 The sphere rising party began around 10 am May 18 1980 and continued till the evening hours although the actual assembly time was about 3 hours and the assembly went of without a hitch. Walked away from this project. 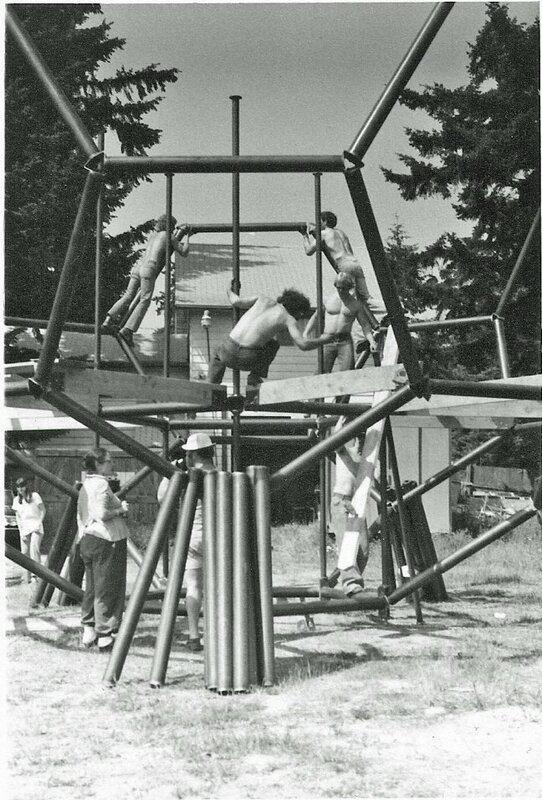 I did not take the concept far enough in the design stages to complete the frame in to a viable human habitat without major alterations and concluded after the frame was up that I would be better of to start a new which was then beyond my abilities, my means and the state of mind I was in at that time. 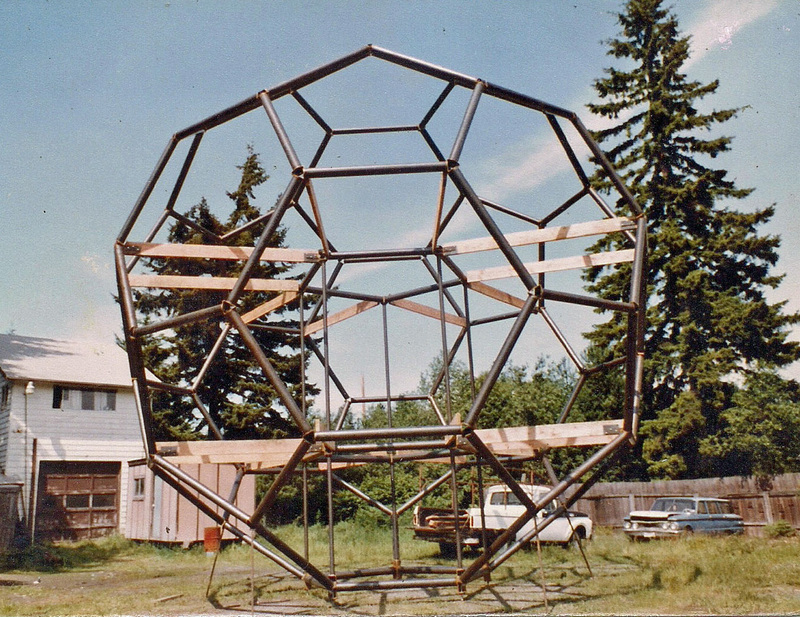 I have conceived, designed, fabricated and erected the geodesic sphere frame utterly believing in the concept and wanted to see it realized. 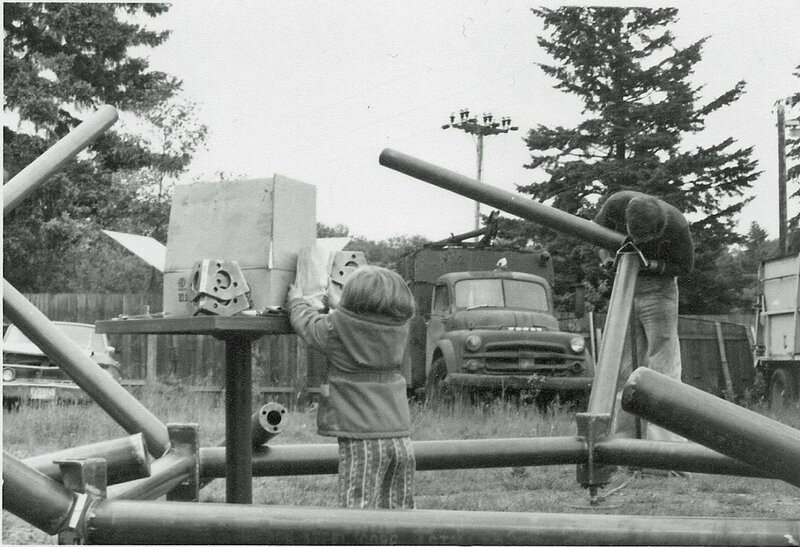 In that respect nothing has changed. 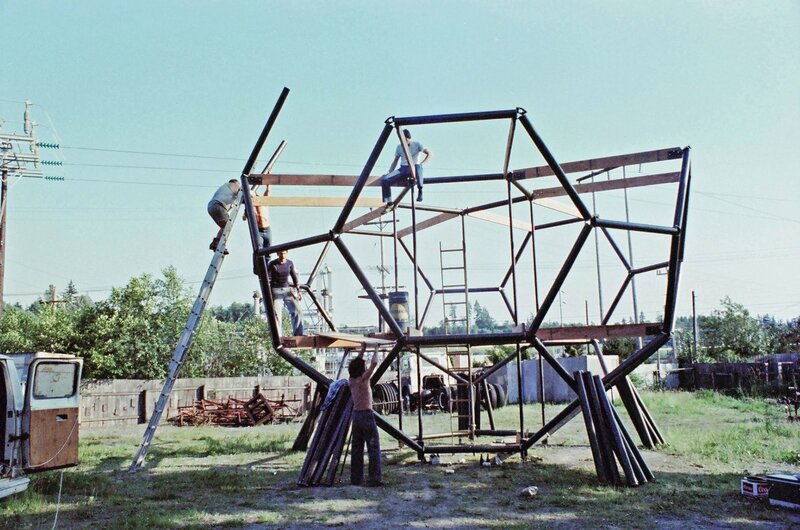 All the parts of the 1980 geodesic sphere described above are stored in my shop as are the parts of the 1997 geodesic sphere.